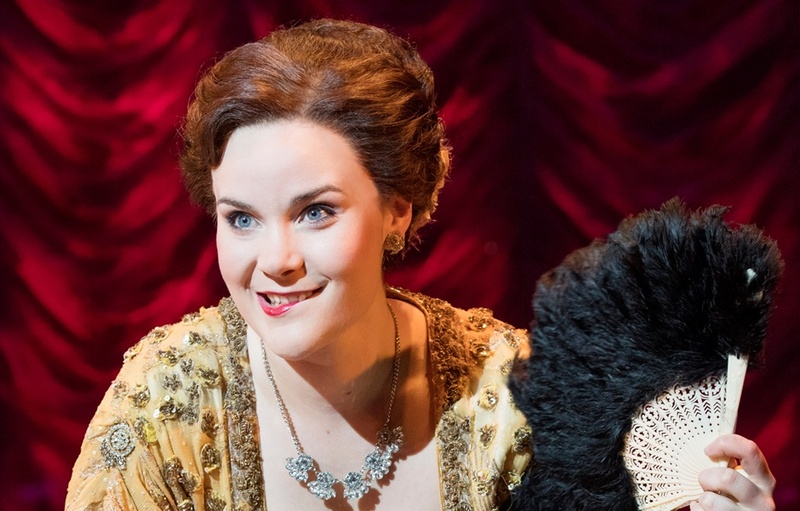 We caught up with the critically acclaimed Natasha J Barnes as she steps into the role of Fanny Brice in Funny Girl for a few weeks. Natasha shares her favourite West End moments, why it's important to dream big, and what you'll love about Funny Girl The Musical. When you covered the role of Fanny Brice for a few nights at the Menier Chocolate Factory, The Stage likened your performance to 'a quirky, young Imelda Staunton, burning with quiet intensity, heartbreakingly good acting and singing voice that reminded me of the great, late Judy Garland.' Can you tell us about the role? Fanny Brice had a backbone of steel and was salt of the earth - someone who couldn't help being who she was. Although the barriers she faced, and pitfalls of the real Fanny Brice, are only slightly represented in the show, she was constantly victim to doors slamming in her face as she rose up in her career. Nick Arnstein (her husband and love interest in the show) was partially an escape for all that, but as the show beautifully depicts she couldn't stop her natural born talents and passion for performing from seeping through into everything she did, including their relationship. There's a scene in Act Two where I rifle through some papers looking for sheet music in a desk and the props department have placed a real life article and photo of Fanny Brice. In that moment I feel furthest from myself and closer to her, which is what this is all about for me. Why should people come to see Funny Girl? It's a great show! The music and lyrics are an incredible work in themselves - iconic songs that stand the test of time. At its very heart this is a story of a woman who loves a man and loves what she does. The themes so are human and easy to relate to, and easy to be inspired by her story. And it's very funny, heart-wrenching and in my eyes it's pure escapism. What's not to love? When did you decide that you wanted to be a performer and was there a particular performance which inspired you to do so? It was more of a need really. I was five and I couldn't sit still at school. I wasn't bothered about toys and wanted to play big imaginary games; I was happier in the kitchen with a ball of string and the sound track to The Little Mermaid than with a big Lego set. My parents needed to give me something to do after school, and to channel all that energy, so I joined a theatre class. Disney was my first taste of the theatrical - as a child I adored the music, then later at school through English lessons and reading plays in class - both really began my love of theatre. What advice would you give people about the importance of training and how to get the most out of it? I had no formal training. I always wanted to and still do to be honest - I relish learning. I did my first West End show at 18, and very early on I decided to create my own training. All my spare cash (of which there was not much) went on singing and dance lessons, and seeing every show I could. You have to really see where you want to go in your career - have a plan, but be completely honest with yourself about why you want to get there. It's essential to have faith in the work you create, be it in class, on the fringe or on a huge West End stage - I have had the luxury of experiencing all three. You've got some great West End credits to your name, what's been your highlight? Every single job I have ever done has taught me something. If I absolutely had to choose it was Spring Awakening - my first West End job which Michael Mayer, our Director on Funny Girl, also directed. I call my fellow cast members my uni mates because that is what that experience was for me. If Michael hadn't taken a chance on me then, and in some ways again for Funny Girl, this wouldn't be happening. It's such a curious case of happy coincidences really. What advice would you give people looking to follow in your footsteps? So many things, but in the main, protect your work and give up on perfection immediately. Listen to people, think hard on what they say before deciding what you want to do with their advice. Life is very, very long and you have time so stay focused and determined - surround yourself with people and things that inspire you. I look after my body - I don't underfeed it and (rarely) over feed it, I stay active - it's about keeping your body strong to cope with what this job throws at you! And most importantly, don't ever, ever give up - and always dream bigger than is polite.